Our team of educators and staff are dedicated to helping your child succeed both academically and personally. No matter what barriers stand between your child and your child’s education, we are here to help your child do their best. We have many fun things planned the third quarter of the year! Please plan on attending a board meeting, or PTO meeting this year! We would love to see you there! Mrs. Barrett joined CATA in 2013. She currently teaches middle school social studies and is the testing coordinator for the school. Mrs. Barrett is passionate about social studies and the individual development of each child. Mrs. Barrett plans an annual field trip which coincides with the Social Studies curriculum in middle school. Previous trips included Washington D.C. and Boston. 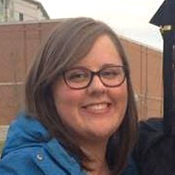 Mrs. Barrett holds a Bachelor’s degree and teaching credential from Indiana University of Pennsylvania.